Are you interested in having your property protected in perpetuity? 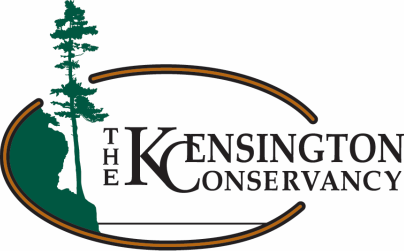 Find out how you can do that through the Kensington Conservancy! Many land owners have protected their corners of the world for many years, maybe even generations, but still worry about the future. Land Trusts are non-profit organizations that have the tools to assist landowners to protect their property into perpetuity. As each property has unique value to the owner, its preservation needs to be just as personalized and unique. As the private lands conservation movement has evolved, so too has the number of strategies employed by willing landowners working in partnership with land trusts to preserve their properties. Outlined below are a number of specific strategies that can be used to protect private conservation lands in perpetuity. Donating land for conservation purposes may be the best conservation strategy for you if you do not wish to pass the land on to heirs, own property you no longer use, own highly appreciated property, have substantial real estate holdings and wish to reduce estate tax burdens or would like to be relieved of the responsibility of managing and caring for land. Donating land releases you from the responsibility of managing the land and can, depending on the situation, provide both income tax deductions and estate tax benefits. An outright donation is not the only way to give land. You can continue to live on the land by donating a remainder interest and retaining a reserved life estate. In this arrangement, you donate the property during your lifetime, but continue to live on and use the property. When you pass away (or sooner if you choose), the land trust gains full title and control over the property. By donating a remainder interest, you can continue to enjoy your property and you may be eligible for a charitable deduction at the time when the remainder interest is conveyed. If you want to own and control your land during your lifetime, but assure its protection after your death, you can donate it by will. A conservation easement is a voluntary legal agreement between a landowner and a land trust or government agency that permanently limits uses of the land in order to protect its conservation values. It allows you to continue to own and use your land and to sell it or pass it on to heirs. When you donate a conservation easement to a land trust, you give up some of the rights associated with the land. For example, you might give up the right to build additional structures, while retaining the right to grow crops. Future owners also will be bound by the easement’s terms. Conservation easements offer great flexibility. Most importantly, a conservation easement can be an essential tool for passing land on to the next generation while keeping it intact and limiting its future development potential. If you’d like a conservation minded buyer to have “first dibs” at buying your land, you can grant a land trust or government agency a right of first refusal. The conservation buyer would then be informed of any bona fide offer by another interested party to buy the property, and would have the right – generally within a short time period – to buy the property at the price offered by the other party. Environment Canada’s Ecological Gifts Program enables owners of property with sensitive natural features to preserve wildlife habitat. Donations of fee simple title and partial interests, including conservation easements, are eligible. And, in many scenarios the landowner can continue to hold title and/or live on the land. Individuals or corporations can create a legacy and contribute to Canada’s rich biodiversity. For more information the Environment Canada’s Ecological Gifts Program please visit their website here. If one of the above land protection options works for you and you would like to inquire further, please contact the Kensington Conservancy office and we will be happy to help you.